Black Tor Brewery of Christow, Dartmoor National Park is celebrating Cask Ale Week 2017 with the release of a new limited edition beer Pale 4.4% ABV, which will be served in carefully chosen pubs across the south west. 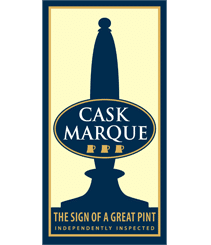 Cask Ale Week 2017 promoted by Cask Marque celebrates Britain’s national drink, encouraging pubs, breweries and drinkers to enjoy cask ale and try new beers from 21st September to 1st October. Black Tor produces limited edition beers throughout the year alongside their popular core range, with one off brews in 2017 including their New Zealand IPA, Porter, Wheat Beer, Stout and American IPA. Pale 4.4% ABV is a hop laden new world pale ale, with juicy citrus and tropical fruit flavours from American hops Citra, Cascade, Simcoe, Perle and Liberty, and dry hopped with Australian hops Summer for enticing aromas of melon and apricot. With batches of their limited edition brews typically selling out within a day of release, Jonathon hints at Black Tor releasing the most popular one-off brews in small batches of 3000 x 330ml bottles which would be numbered. Celebrate our national drink and look out for Pale 4.4% ABV in some great south-west pubs carefully chosen by Black Tor including CAMRA award-winning pubs The Forstescue Hotel in Plymouth, Queens Arms in Brixham and Tom Cobley Tavern in Spreyton.